Here’s a HOT deal you will want to grab! Get the Collapsible Trunk Organizer in Black for only $10.10 on Amazon (reg. $49.99)! Super Saver Shipping will be FREE with an order of $35 or more or get FREE 2-day shipping with Amazon Prime. 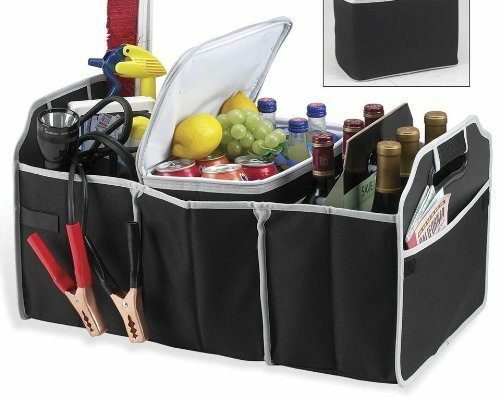 Great for Storing Tools, Maps, Cleaning Supplies, Bottles, Emergency Tools, Groceries and Much More.